FOAM is Free Open Access Medical Education. SmartFOAM puts all your favourite FOAM sites in one handy app. 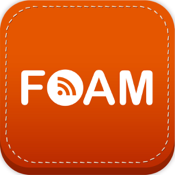 It includes a feed of all FOAM posts; an ability to search just through FOAM resources; access to the FOAM guidelines website; and a list and link to other FOAM websites.